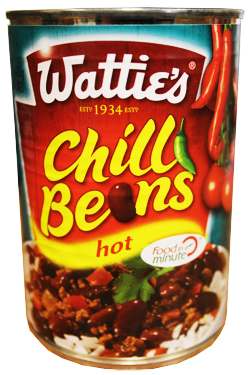 A rich and tasty mix of red kidney beans, tomatoes, jalapeno peppers, onions and chilli powder. These have a deliciously hot flavour which will tingle those people's taste buds who crave something spicy. No added colours or preservatives, 99% fat free, rich in protein, high in dietary fibre, source of lycopene and a great source of energy. Red kidney Beans (55%), Chilli Sauce (45%) (Tomatoes (34%), Sugar, Onion (3.0%), Jalapeno Peppers (1.2%), Herb & Spices (including Chilli), Maize Starch, Maize Thickener (E1422), Garlic, Food Acid (E260), Salt, Herb Extract, Flavour).